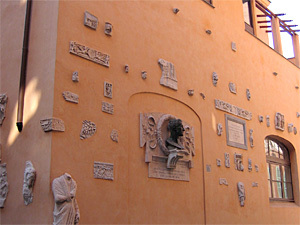 Atelier Canova was founded in Rome in November 2008 by artist, Andrea J. Smith. Here we aim to help students grow as artists, increase their artistic skills, and move towards developing and perfecting their own distinct and individual style. We believe that anyone who is passionate and committed to their art, can learn to draw and paint, and this is the simple premise around which the school has grown. We are less concerned with the experience a student brings with them, but more in their vision of where they are going as an artist. Classes are always small, typically four students at a time, ensuring each student receives the maximum amount of individual attention and a critique appropriate to their skill level. Unlike other art schools, we give our students the opportunity to work on the same subject for extended periods of time, allowing them the opportunity to achieve a finished work by the end of each course. But studying at Atelier Canova is not just about developing your own talents. Thanks to our location in the heart of Rome’s famous artistic area, you can spend your free time visiting museums, churches, piazzas and monuments known the world over for their outstanding beauty. Students wishing to delve further into Rome’s history or art can take advantage of our close relationship with some of the city’s professional tour guides and discover why centuries of artists have been so inspired. The Rome you will find today is a testament to the artists who once lived and worked here, such as Michelangelo, Raphael, Caravaggio, Bernini, Borromini and, of course, Antonio Canova, in whose former workshop our school is located. 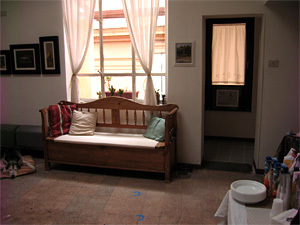 Like Canova, Andrea chose to open her studio here because of the building’s north-facing position. The northern light that shines in through the windows and skylight, allows us to paint throughout the day without using any artificial lighting, a luxury that is increasingly rare in schools these days. 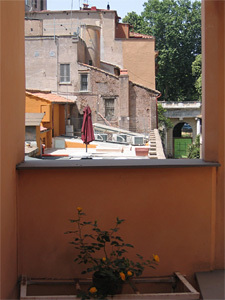 Of course, in a city and country famed for its astonishing bellezza, we wouldn’t want to always be working in the studio! As well as workshops in different locations around the city, we also organise 15 day plein air landscape painting trips around Italy. In recent years we have immersed ourselves in the green hills and fortified towns of Renaissance Tuscany and enjoyed the burnt colours of Apulia. Andrea J. Smith graduated from The University of Melbourne, in Australia, and The Florence Academy of Art. Her teaching experience covers The Florence Academy of Art, The New York Academy of Art, The Harlem Studio of Art in New York, and currently Atelier Canova. Andrea is represented by The Forum Gallery in New York and Australian Galleries in Melbourne and Sydney. Download Andrea’s biography [1.4MB] or visit her personal website.